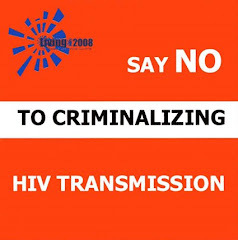 The first ever successful prosecution for HIV exposure in Minnesota ended with a 90 day prison sentence for Jessie Allen Tuff, 39. Mr Tuff, who is living with HIV and hepatitis C, was sentenced today after pleading guilty last month. The complainant, Debra Jean Miller, 50, who has tested negative for both HIV and hepatitis since their short-lived relationship last October/November 2008, went public today in an article in the Duluth News Tribune in which she reveals that "she is undergoing weekly therapy for anxiety." A 39 year-old man from Duluth, Minnesota, has been charged with criminal HIV exposure for "intentionally inflicting or attempting to inflict bodily harm upon another by knowingly harboring an infectious agent and committing the act of sexual penetration with another person without having first informed the other person that the person has a communicable disease." However, the charge is only classed as a misdemeanor and the maximum penalty is a $1,000 fine and 90 days in prison. Minnesota has previously only prosecuted four individuals for HIV exposure/transmission, all of whom were rapists who had their sentenced enhanced due to their HIV-positive status. she has contacted five women she knows [the accused] has dated to warn them of his illness, as well as a young boy he spent time with. "All he ever said was: 'It's your own fault,' " [she] said of [the accused]. "He doesn't care who he gives it to. He said he doesn't care." [The complainant] told a police investigator that she had a consensual sexual relationship with [the accused] from approximately October through November 2008. She said she learned the defendant was HIV positive when she read an e-mail he received from his ex-wife, which indicated he had given her a disease. [The accused's] ex-wife provided [the complainant] with a copy of Hennepin County medical records that indicate [the accused] had been infected with HIV for more than 10 years. Medical records obtained by police from St. Mary's Medical Center indicate [the accused] is both HIV positive and Hepatitis C positive. The accused man is currently serving a nine-month sentence for violating probation on an unrelated charge and is cheduled to be arraigned on September 8th.